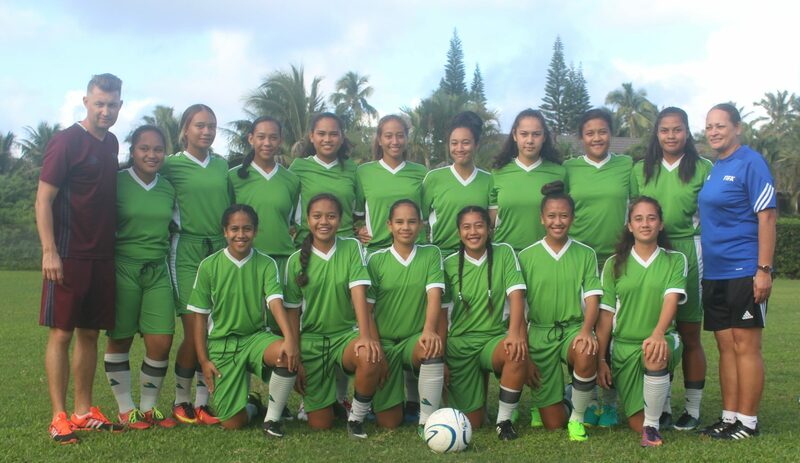 Sixteen young women have been selected to represent the Cook Islands and have departed our shores in the weekend to particpate in the OFC U-16 Championship which kicks off on Friday 4 August in Apia, Samoa and concludes with the final on Friday 18 August. The team is coached by Theresa Tatuava with the assistance from CIFA’s technical director Jess Ibrom and managed by Merian Noovao. The team prior to travelling have trained three times a week for the championships and the camp is higly motivated and are looking forward to their first match. The Cook Islands is in Group B with Tonga, American Samoa and Fiji. Cook Islands will be doing their best to improve their standing this year after falling short of the knockout stage when they hosted the 2016 edition of the competition, but with American Samoa, Tonga and Fiji also competing for the top spot in Group B, Cook Islands have a tough challenge ahead of them. The Cook Islands will play their first match on Thursday against Tonga.